[toc]Tooth decay can trouble you at any age. 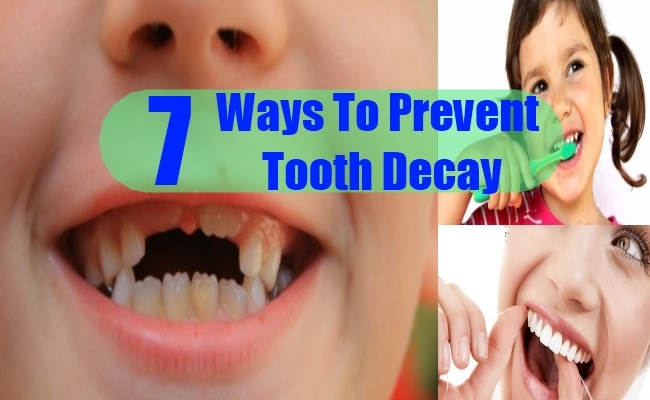 However, elderly people and children who eat more sweets and do not follow mouth hygiene are more prone to tooth decay.Tooth decays are often painful and treatment requires persistent dentist visit. Dental treatments are quite expensive. 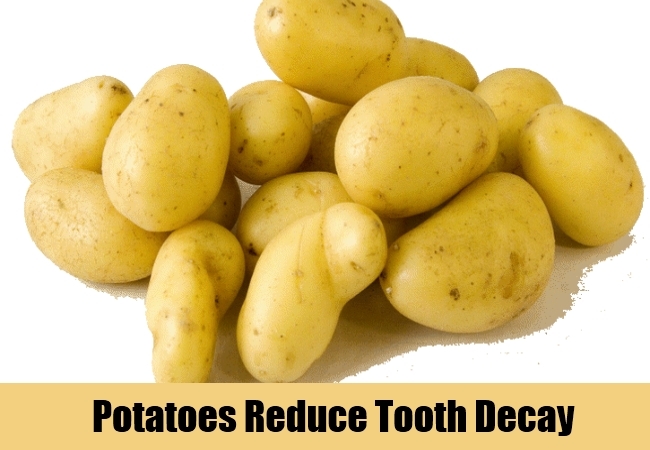 Therefore, try to prevent it before tooth decay takes a grip on your oral health. Before going into the details of tooth decay prevention, let’s have a glimpse on the reasons behind it. It all starts with the formation of plague over the teeth. Plague is formed when food particles are stuck between the teeth gap. Bacteria residing in our mouth feed on the food particles resulting in the release of acid. The acid, food debris and saliva accumulate to form plague. The acids particularly eat up the outer layer of the teeth called enamel and forms cavities. Now let’s learn the ways to prevent the formation of plaque which directly controls tooth decay. Brushing is the most important part of oral hygiene. Make sure that you brush your teeth at least twice a day to control plague formation. It is best to brush your teeth after a meal than before it. But do not immediately brush your teeth after having meal especially when you consume foods rich in carbohydrates and sugar. It is recommended to change your tooth brush every two or three months as the mouth of the brush gradually becomes ineffective to clean up the teeth. And if you use the electric brush then buy the one which has a rotating oscillation action. 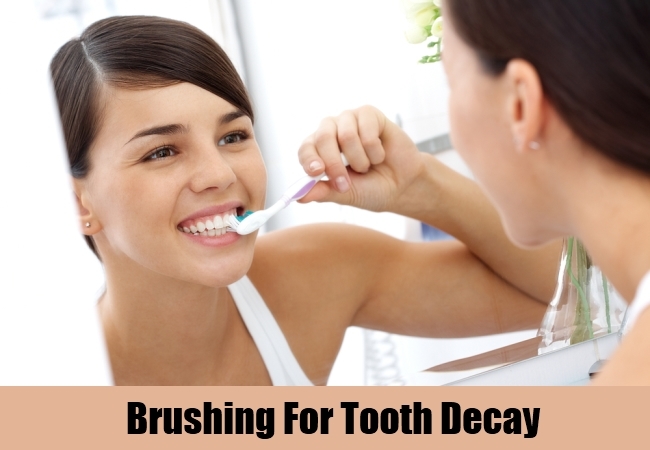 You also need to replace the mouth of the electric brush every 2 to 3 months as you have to do for manual brush. Some food particles which stuck hard between the teeth are not removed by brushing. In such case dental floss comes to rescue. 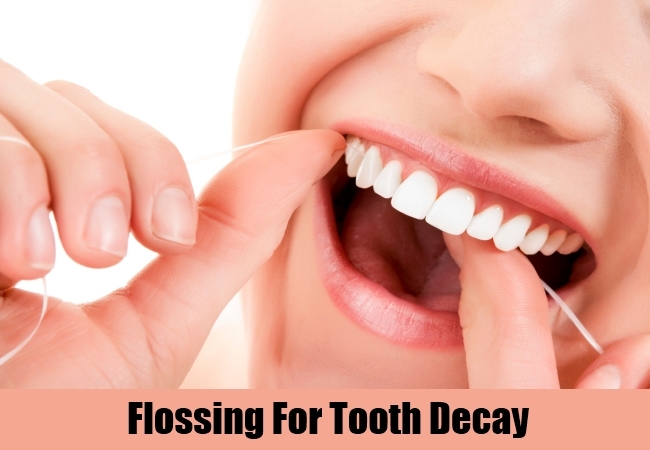 Dental floss can reach even the most unreachable parts of the mouth where teeth usually could not act. Flossing also help to clear up the plaque from the gumline. So, make sure that you floss your teeth once a day. Dental floss or tapes are easily available in the pharmacies. Also, learn the proper way of using it from your dentist. 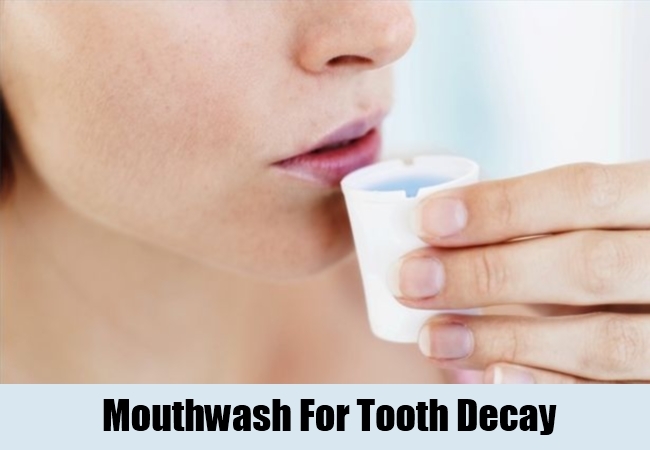 Using mouthwash is another way to keep your mouth clean and bacteria free. Make sure that you use a good quality fluoride mouth wash. But do not use mouth wash after brushing your teeth. Choose another time such as after lunch or at night (if you are not brushing at night). Also, do not eat anything till 30 minutes after using a fluoride mouth wash. Avoid using mouth wash containing alcohol as they dry the mouth and can even cause cracked lips due to the drying effect. So, buy an alcohol-free mouth wash to avoid dry mouth and chapped lips. You need to diet carefully in order to protect your tooth from bacterial attack. There are certain foods that bacteria finds easy to break down and form acids. Carbohydrate is one such food that easily fall prey to bacterial attack. But we cannot avoid carbohydrates as it is a main part of a balanced diet. Instead we can choose unrefined carbohydrate foods such as whole meal or brown bread, pasta, rice, potatoes, and eggs in place of refined carbohydrates. Moreover, you should completely avoid foods and drinks rich in fermented carbohydrates like fizzy drinks, chocolates, sweets, cakes, crips, biscuit and white bread. As it is advisable to consume low sugar food to prevent tooth decay, always check the sugar content in an item while buying. Sugar comes in different forms like glucose, sucrose, honey, dextrose, fructose and many more. So, check them accordingly before buying. 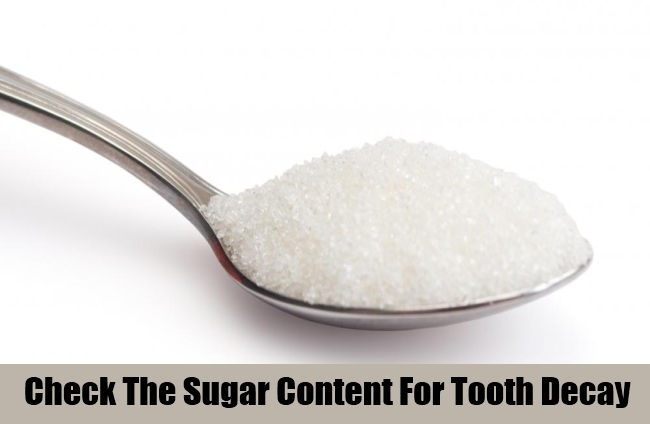 15gm of sugar for every 100gm of product is considered as high sugar content. And if you use chewing gums to control plague then try to take sugar free chewing gum. 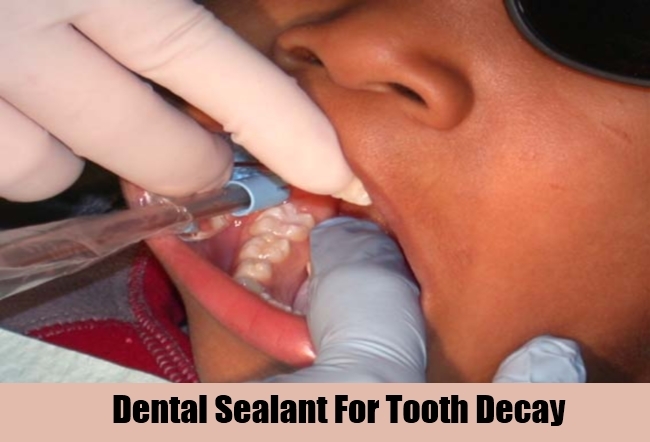 Dental sealant is an effective way to protect your teeth from decay. It involves sealing the teeth from the chewing surface of back teeth with a protective plastic coating. It seals the grooves and crannies which is most likely to get cavities and prevents the formation of plague which result in acid formation. Sealant works perfectly for 10 years and needs to check regularly to confirm that they are intact. If you drink bottle water then you may miss the fluoride of tap water which helps to prevent tooth decay. 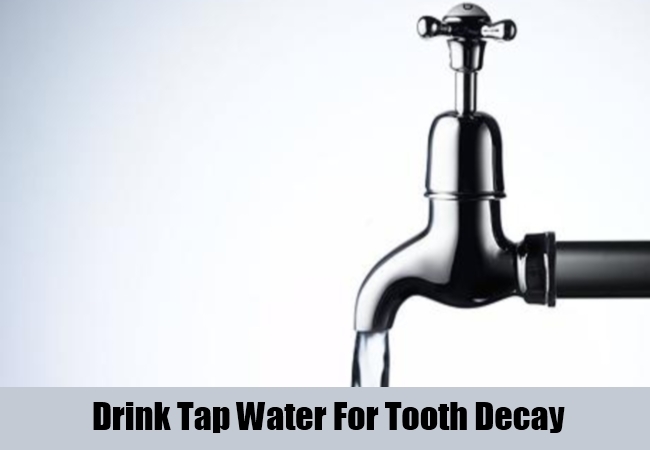 Tap water contain fluoride that continuously clear plague formation in the teeth. So, also drink tap water along with taking bottle water. It will also save your money for buying bottle water from the supermarket.